There are two different ways to use the rose quartz roller. The healing properties of rose quartz, combined with the rolling action have the following benefits. Egyptians believed rose quartz had anti-aging properties. It is thought that the Goddess Isis would gather tumbled stones of rose quartz by the Nile river where she used these as facial massage stones to keep the complexion clear and prevent wrinkles. Rose Quartz is commonly referred to as the "Love Stone" for it's strong vibrations of unconditional love, tenderness, joy warmth and healing. This beautiful pink crystal has a powerful energy that resonates within both the heart chakra and the higher heart chakra the area related to compassion. Rose quartz is packed full of minerals, including silicium, magnesium, iron, sodium and oxygen. It has an amazing ability to reduce inflammation and support the renewal of skin cells plus heals and rejuvenates. 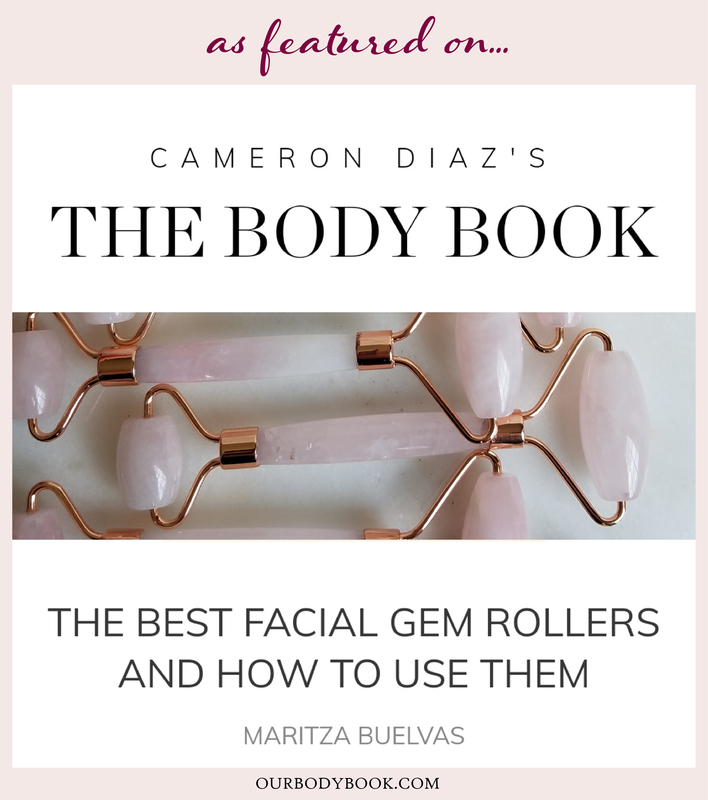 Rose quartz facial rollers are also good for the heart and circulation, bringing oxygen to skin which improves tone, luster and glow. Rose Quartz Rollers are fragile, Please handle with care. Our Rollers have been upgraded with the strongest and prettiest frames available, with extra smooth rolling action, free of squeaking. Make sure to clean your rose quartz roller after every use. Wipe your rose quartz roller with a warm soft damp cloth and dry it with a clean dry towel. Make sure it is completely dry before putting it away. Do not wipe your rose quartz roller with hot water or soak it in water. Also, never use harsh chemicals or cleaning agents on your roller as it would erode the finish and polish.